Tree Fest Event: Film Night with Speaker Diana Beresford-Kroeger, October 6, 2015 from 6:30-9:30pm. Tree Fest Ottawa as well as Forest without Borders is pleased to announce and evening of remarkable short films about the power of trees. The renowned botanist, biochemist and author, Diana Beresford-Kroeger will also be a guest speaker. It will be held in the Horticulture Building at Lansdowne Park in Ottawa on Tuesday October 6, 2015 from 6:30-9:30pm. Award winning films will be shown including, Forest Man, The Man Who Planted Trees, and Moving Forest. Tree organizations, such as Tree Ottawa and vendors will be on site, and offerings will include food and drinks made with tree products. Beresford-Kroeger published over 200 articles in magazines and newspapers in Canada, the US and abroad. She also published five acclaimed books on nature and gardening. 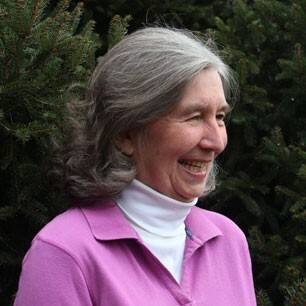 She has acted as a scientific advisor to a number of organizations, including the Irish Woodland League, Ecology Ottawa, Hidden Harvest of Ottawa, Canadian Organic Growers, Archangel Ancient Tree Archive and the Acadian Forest Research Centre. She has lectured widely across North America and Europe and has appeared on television and radio in Canada, the U.S. and Europe. She is currently working on a documentary scheduled for release in 2015. Beresford-Kroeger will be featured in the forthcoming PBS documentary called The Truth about Trees. She was also the subject of an episode of Recreating Eden, an award winning international gardening series produced by Merit Motion Pictures in 2011. Tree Ottawa and Tree Fest are proud to have Beresford-Kroeger’s join us for Ottawa’s inaugural Tree Fest in 2015. Her expertise on the plight of today’s forests will certainly inspire and raise the need for immediate action to preserve our trees for future generations. Please come out, be inspired and show your support!